DEenergize offers a number of online capabilities that can greatly improve employee awareness and access to equipment specific documentation. DEenergize Online Services can be used in a number of different ways based on your specific needs. Topics ranging from general Energy Source types and hazards to equipment-specific procedures and documentation can be accessed full-time using a multitude of web-enabled devices. In fact, any web enabled device with access to the internet such as smart phones, tablets, notebooks and desktop computers can be used. DEenergize Online Services is based on a standardized web interface and is equally effective on iOS, Android OS, Microsoft Windows, OS X, UNIX and others running a modern standards-based web browser. 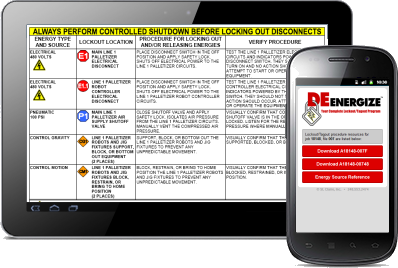 DEenergize Online Services can easily be integrated into your existing Lockout/Tagout program without impeding normal operations. 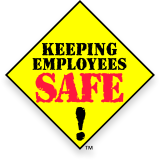 With its flexibility DEenergize Online Services may well become your best Lockout/Tagout program management and Maintenance resource. 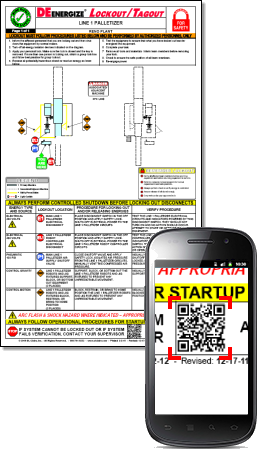 To inquire about DEenergize Lockout/Tagout Online Services, high-resolution samples or other related Lockout services, please use the Contact Information page.